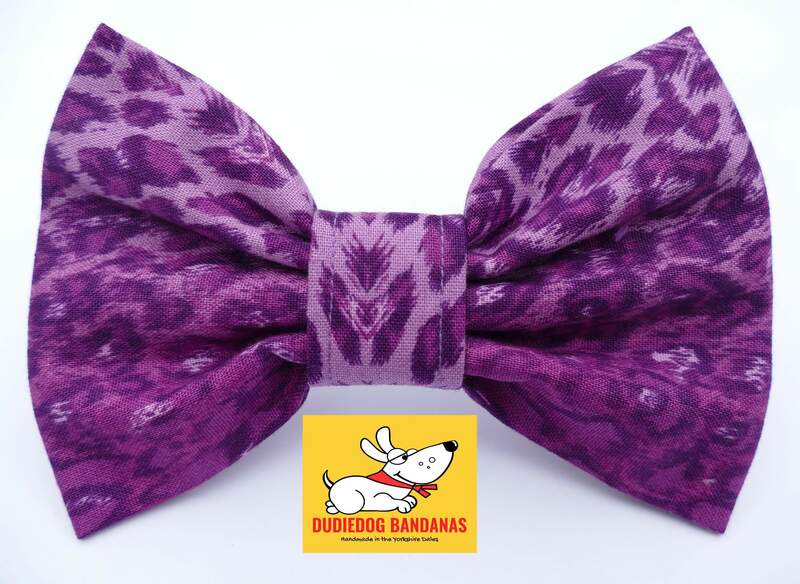 A gorgeous, Purple groovy Leopard print bow tie for dogs and cats. Perfect, and extremely stylish for any fashion conscious dog, this is a beautiful and very striking 100% cotton animal print! A great and super-stylish look for any Diva pet about town or country!